Give us your Bucket List. We'll give you a "No Obligation Free Estimate". We never charge for estimates or service calls. This goes with our company beliefs that you shouldn't have to pay us for something we haven't done yet or done properly. You can call us anytime of the day or anytime of the season, but if you want your lawn to look its best, you need to call now! 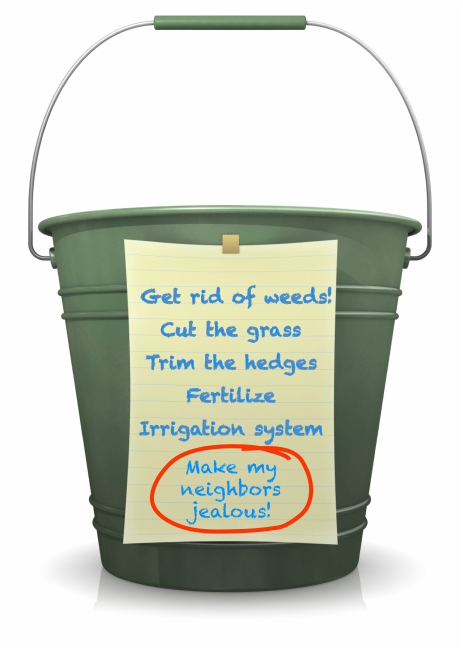 We gotta get ahead of those spring and summer weeds now before it's too late!